Painting old heaters and cast iron radiators are one of modern interior decorating ideas and a stylish way to add retro accents to room design. 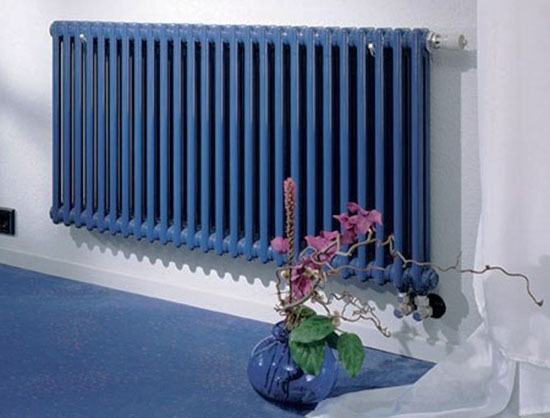 Painting old heaters and cast iron radiators refreshes home interiors and create eye-catching focal points in dull, lacking any interest rooms. 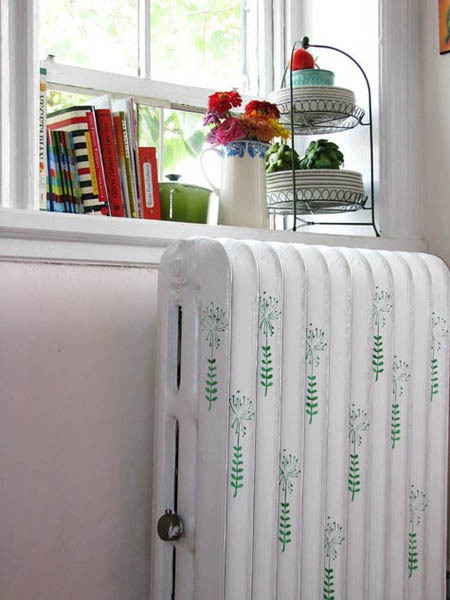 Creative painting ideas for cast iron radiators, old baseboard heaters or dated wall heaters can dramatically transform the way rooms look and feel, creating unique atmosphere of artistic homes. Bright painting ideas and interesting designs are quick ways to blend room heaters into your room decor with matching paint colors and decoration patterns. Painting retro style radiators, old baseboard heaters or dated wall heaters in the room takes just a few hours and give a stylish look to your room decor, adding modern paint colors, interesting patterns or bold designs to your wall decoration. Selecting the right paint color for your baseboard heater or wall heater, matching or complimenting color tones, enrich your room decor and create harmonious and attractive wall decoration. White paint or off-white painting ideas are classic and neutral choices, but bright paint colors make room decor more dynamic and energetic, changing the mood in the room. Light neutral paint colors that are similar, lighter or darker, than wall paint color help blend old heaters and retro style radiators with the wall in elegant style. Bright paint colors, that are contrasting or complimenting, create a strong statement and creating a focal point of your interior decorating. 1. 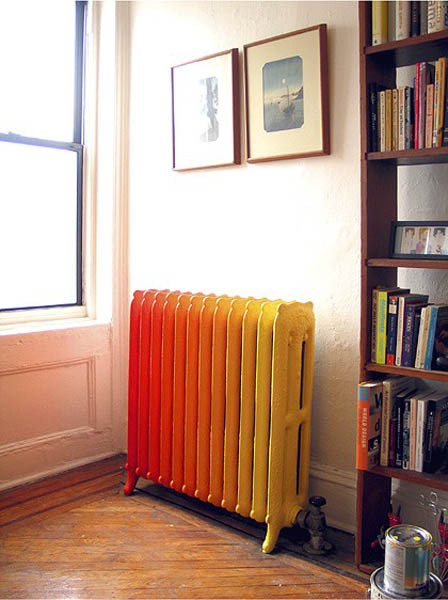 Before painting old heaters or radiators turn them off and allow to cool down. Rub the surface down with wet and dry abrasive paper and clean with warm water with a little detergent added. Rinse, clean and dry. 2. Any bare areas should be primed with metal primer paint, which provides protection from rust and excellent adhesion for subsequent coats. 3. 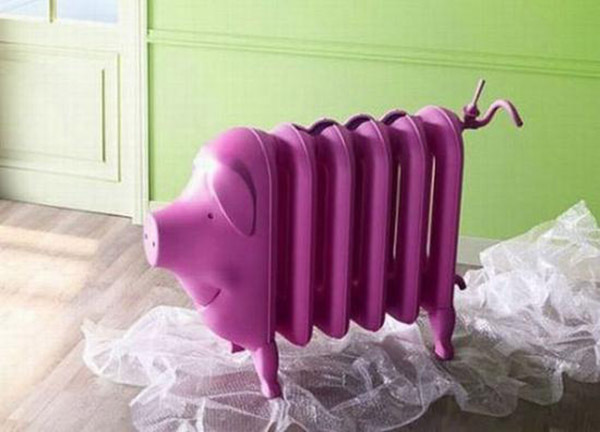 You can then paint your heaters or cast iron radiators with solvent-based satin or gloss paints. These paints come in a wide range of colors allowing painting old heaters or cast iron radiators in matching your interior decorating color, selecting matching or complimenting your wall color paint. 4. Allow the paint to fully dry before turning wall heaters or cast iron radiators on. When you do so for the first time you may experience a paint smell, – this is normal and will quickly disappear.